We have transcribed all the tunes on Simon’s three records, and have included chords for all tunes, and in many cases listed other recordings of the tunes and links to online recordings of the tunes. To fill out the project we have also included a short biography of Simon and some notes about his playing and likely influences. We hope you enjoy it and learn some great tunes from it! Short Biography & Performance Notes,this PDF contains two short essays (1.5–2 pages each). The biography was researched and written by Peter with editing by Emeline. The performance notes were written by Emeline with editing by Peter. Between them we try to give some background on his life, some of the important influences on his playing, and on aspects of his playing that make it interesting. The tunes are presented as sheet music in PDF format. They are also presented in abc format which is especially useful because it can be played back on your phone or computer. The abc notation is presented as text files so they can be opened easily. They contain instructions for how to use them to play the tunes or turn them into sheet music. For that you’ll need some free software; links are provided. Here is the music for each record presented separately. Below there are links to download it all at once. The Joys of Quebec. 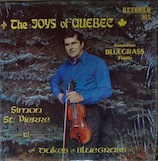 Sheet music for Simon’s first record with lots of great tunes such as Big John McNeil, Maple Sugar, Waltz to the Leaves. There’s a tune list on the cover of the PDF. The Joys of Quebec, abc notation. The same record as abc notation. It’s a text file to make it easy to open; instructions inside for using abc. The Woods of Maine. Sheet music for Simon’s second record with more great tunes such as Happy Acres Two-Step, Bow on the String, Black Velvet Waltz. There’s a tune list on the cover of the PDF. The Woods of Maine, abc notation. The same record as abc notation. It’s a text file to make it easy to open; instructions inside for using abc. Fiddler From Maine. 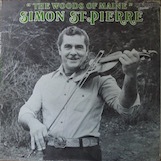 Sheet music for Simon’s third record with still more great tunes such as Redwing, Waverly Two-Step, Kiss Me Waltz, Lighthouse Keeper. There’s a tune list on the cover of the PDF. Fiddler From Maine, abc notation. The same record as abc notation. It’s a text file to make it easy to open; instructions inside for using abc. Here are a few downloads of everything at once in each format. All Three Records, PDF. Sheet music for all three records in one document. All Three Records, text. Abc notation for all three records in one document as a text file for easy opening. Everything At Once. This is a zip file containing combined documents for all three records as PDF sheet music and abc notation in both text and abc formats. It also contains the combined biography and performance notes PDF. On a Mac, double-click on it and it should open. On other devices if you need help look up “unzip” followed by the type of device. 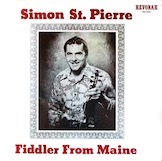 In late winter of 2016-2017 Paul Fackler started working on a project to transcribe the tunes of Simon St. Pierre, to be presented on the Maine Fiddle Camp website. At the end of March he contacted Peter Yarensky about participating in the project. Peter talked to his partner Emeline Dehn-Reynolds and they thought it was a great idea. Paul ended up having a busy spring and couldn’t participate as much as he had hoped, but Peter and Emeline worked on it with great enthusiasm (and at great length!). Emeline did most of the work transcribing the melody of the tunes with great care for accuracy and detail. Peter did most of the work on the chords, and went through the transcriptions again very thoroughly. Paul contributed a lot of interesting information about tune composers, other recordings of the tunes, and recordings on YouTube that you can listen to. We are very happy with the final result and hope you will be too. At the same time we recognize that Simon’s playing was very complex and it is difficult to nearly impossible to notate correctly, so we strongly recommend listening to recordings of Simon for your enjoyment and for your understanding of his music.